The title of course refers to the "Demons and Wizards"/"Magician's Birthday" period, which had brought Uriah Heep both their best music, and their biggest success to date. It is however is somewhat misleading, as there's little in the way of wizards, demons, or indeed magicians. What there is however is a good collection of Uriah Heep songs. With John Wetton on bass in place of the dismissed Gary Thain, the band had the opportunity to exploit Wetton's songwriting and vocal skills, but once again it's Hensley's songwriting which dominates the album. David Byron is still in fine form vocally, thus Wetton becomes almost a session player, providing bass and only occasional backing vocals (it was subsequently revealed that he was actually a "salaried" band member only). Apart from the opening title track, side one of the LP contains much the weaker tracks on the album. "Return to fantasy" is a fine piece of faster paced Heep, with a driving rhythm, and pulsating keyboards. The remaining tracks on side one are a bit by-the-numbers Heep, although "Beautiful dream" has some good keyboards. The second side is more diverse, with a couple of fine ballads allowing Byron to display his more sensitive side. The unaccompanied intro to "Why did you go" is particularly delicate, and would have been a challenge beyond most of Byron's contemporaries. 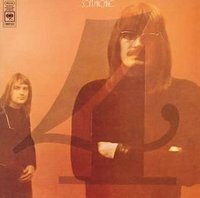 The final track, "A year or a day" builds superbly from a slow soft start to a climactic conclusion, with lyrical echoes of "The wizard". While "Return to Fantasy" is a fine album, it does not consistently meet the enormously high standards the band had set for themselves. There are some excellent moments, but there's also an apparent lack of ambition at times, with some treading of water in evidence. The deluxe remaster includes seven bonus tracks, two of which are single B sides, four are advanced demos, and one a cut and paste extension of the title track. "Return To Fantasy" saw Gary Thain replaced by ASIA/KING CRIMSON's John Wetton who brought a new feel into the HEEP's sound. This album has all the heavy tones and grinds you would expect from URIAH HEEP with David Byron's powerful operatic rock voice, Mick Box's guitar work , Ken Hensley's keyboards and Lee Kepslake's drumming. There is no question that this is a heavy toned concept album with dark progressive overtones. 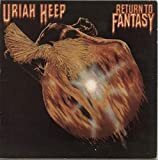 I grew up with the music of Uriah Heep and always found something magical in this band with "Return To Fantasy" ranking as one of my favs (certainly from the mid 70's work). Once again the Castle Records Re-mastered CD version offers some pretty amazing sound quality (ie. 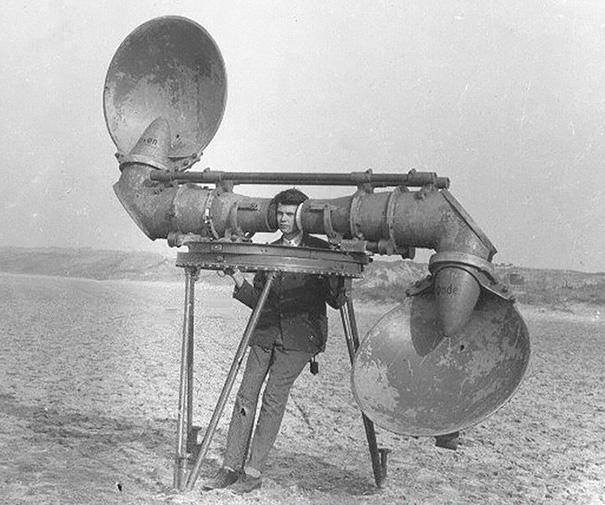 speaker panning) for your stereo. The title song "Return to Fantasy" reveals the album's content via imaginative keyboards, hazy melodies and mystical themes. I think these factors truly combine the best elements of both Hensley and Byron. Other "artistic" highlight from the album is "Beautiful Dream", a keyboard driven song with beautiful vocal parts, interesting magic feelings and good rock themes. Sadly there are quite many poor songs on this album too, like "Shady Lady" going just for a poor basic rock boogie of the 1970's. "Devil's Daughter" is also a conventional track, but a much better performed. If you are keen of the band's music, I think it is a good idea to listen through this album, as there are some quite good moments on it. But to be honest, they are not very dominant this unbalanced album. Closing number "A Year or A Day" is a good one, but in a way emphasizes the futility of the less imaginative songs preceding it. I haven't heard the recent re-masters, so I don't know the worth of the bonus material. It was a surprise to me that John Wetton was already on this album, as I have a cheap Castle reissue version from early 1990's without line-up notes. Somehow felt his presence more evidently on the following "High and Mighty". A high 2 stars, because the good stuff is very good. But this is a lopsided record stuffed with filler. Things begin promisingly with the first half. The return to their most beloved material hinted at with the title and artwork actually manifests itself with opener "Return To Fantasy". Full of emotion, mystery and swirling keys, along with a solid rhythm section that sees John Wetton's bass joining in with Lee Kerslake on drums after the ouster of troubled bassist Gary Thain, the song is no less than a Uriah Heep classic. Two hard-rock songs follow in the form of "Shady Lady" (a forgettable boogie number) and the excellent "Devil's Daughter". Album highlight "Beautiful Dream" follows, a magnificent song highlighting Ken Hensley's Moog expertise, stacking even more keyboards on top of that, along with one of David Byron's last bits of vocal magic. "Beautiful Dream" is one of the reasons Uriah Heep appeals to many prog fans, as these fantasy-laced, celestial kinds of things are in abundance throughout their '70s albums. But then things sour quickly. The listener is asked to sit through four absolutely dire songs: "Your Turn To Remember", "Prima Donna", "Showdown" and "Why Did You Go": a high-school dance shuffle, a bass-horn diseased country-rocker, slide-guitar driven country-rock (again) and a vacant love song (frustratingly, with even more twangy country guitar work!). It's only "A Year And A Day" that makes the second side less than horrendous, its ethereal opening giving way to a poignant organ-driven anthem and then back again to the gentler, more contemplative atmospheres. The two songs relegated to b-side purgatory ("Shout It Out" and "The Time Will Come") are very good. Had they replaced some of the filler, we'd have a very strong album here. Instead they served up 4 excellent songs and 5 abominations. Approach with caution. Seen from the height of a thousand miles, the earth looks the same as it did. How is it we can fly faster than day but we can't find the things we need. Young man said the old man, Let the youth in your heart be at rest We may all be dead In a year or a day When the devil is put to the test . test . test ... "Test!" . JRENG! Oh .. how can I switch to Uriah Heep music right after watching an awesome concert by Dream Theater on 27 January 2006 at Singapore Indoor Stadium? Finally, after a week post DT concert - where the whole week I could not play any CD but DT's CDs! - I could really put Heep's CDs at my player. Why Heep? Two reasons: First, the band would play at two cities in my country: Jakarta (12 February 2006 at Tennis Indoor Stadium) and Surabaya (14 February 2006 at Shangrila Hotel, Ballroom). So, I'd better get used to the music before the show after I have been so long baombarded my ears with Dream Theater songs. Second, there has just recently an excellent interview with the band by my collaborator colleague Bob McBeath at this site. So, I'd better focus on Uriah Heep CDs until the show at 12 February. Potentially, I would also watch the Surabay concert because I'd probably have an assignment there on 14th Feb. Well, it's not coincibence, it's an intention - because Heep was my hero during my "right"placed childhood man ..!!!! "Return To Fantasy" has a personal meaning for me as I first got the album in the form of cassette (then was illegal) when I visited Jakarta (Then I lived in Madiun, East Java). The album blew me away at first listen as the cassette started the album with "A Year or A Day" song that originally was the last track of the album. Wow! This song is really excellent! It starts in an ambient nuance with a soft and long sustain keyboard work by Hensley followed brilliantly with a melodic singing line of Byron in an accentuated voice: "Seen from the height of a thousand miles ." oh . (I almost cry listening the tone of voice Byron sings here ..it's so powerful - I call it "mbrebes mili"). What a memorable part here! The musical nuance even better when the lyrical part enters this one: "Can't we try to let the past go by. With it's lessons firmly settled in our minds. To our children one by one. And before the darkness comes. Let us leave a world full of light of a different kind..". Yeah . it's really killing! Why? The rhythm section that comprises acoustic guitar rhythm by Mick Box and soft keyboard make the music really melodic to my ears. Great composition, strong songwriting! This is one of my best favorite Uriah Heep tracks! "Return To Fantasy" (5:52) was previously not a favorite for me. But after I watched the Magician's Birthday Party DVD (2002) where this song was featured I came to realize the power of this song. 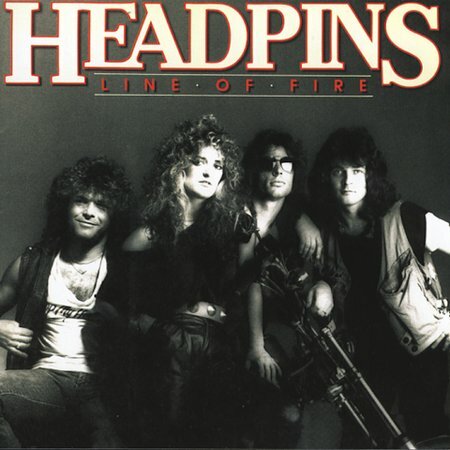 The Uriah Heep sound is presented neatly here in relatively fast tempo music. Gary Thain is one of the best Bass player in rock music. His bass playing reminds me to the style of Yes' Chris Squire. Ken Hensley keyboard punch is also prevalent here with his dynamic notes and specific sound. The musical interlude with organ solo is stunning. Byron's voice is pretty clear and powerful. He is also one of the best rock singers. "Shady Lady" (4:46) is a straight rock music with, again, great singing style of Byron. "Devil's Daughter (4:48) demonstrates good combination of soaring organ sound and upbeat drum work by Kerslake with guitar rhythm at transition parts. A dynamic and energetic track with interlude showing a combination of keyboard and guitar solos. Great combination! Kerslake shows how he can play great and dynamic drum work. "Beautiful Dream" (4:52) is another favorite of mine as well, especially with Byron's singing line and Hensley stunning keyboard style. Why I say about Byron? Because he really delivers a very high note registers in this song. Really good! I don't really favor "Prima Donna" (3:11) where the band includes brass-section in it. It's not the kind of music that Heep is good at. So, I always skip this track. 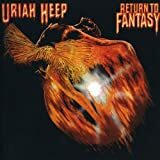 "Your Turn To Remember" (4:22) is Uriah Heep's style of blues combined with a touch of pop music. "Showdown" (4:17) brings back Uriah Heep's sound with a combination of Box' guitar and Hensley's organ, typical of Heep sound. "Why Did You Go" (3:53) is a ballad pop rock song with a good melody and powerful singing style and some bluesy touch. It's not Uriah Heep's best album but it's worth it as this is the last album with David Byron as lead vocal. Some tracks are really excellent. I would rate this album with 3+ as it demonstrates good composition and melody. Keep on proggin' .! To Uriah Heep: Welcome to Indonesia!!! 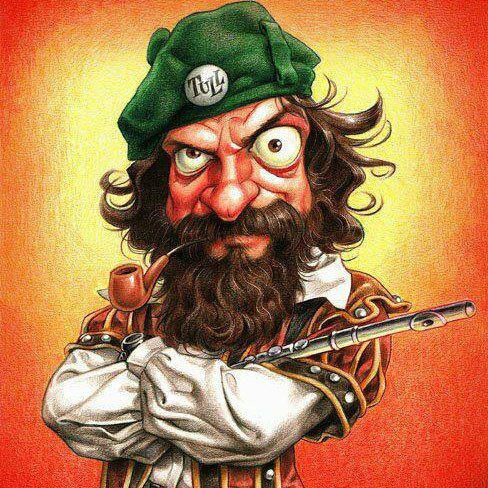 Among the good Uriah Heep albums, full of good pieces, in Heep standards, you could not compare with for example Minstrel in the gallery or Godbluff (talking about same year of relese), because is other kind of prog. Return to fantasy is that kind of album that you like it or not. For me is 3 stars, every track is better than what is on High and mighty, Wonderworld, but weaker than on Demons & Wizards and Look at yourself. Not to mention John Wetton on bass who did a great job, but i think this is not the kind of music he wants to play, you could see him latter in UK (where you can see the true value of this bass player). All in all a good album, not a masterpiece, but worth check out Some tracks to mention Return to fantasy, Devil's daughter, some slow ones like Your turn to remember showes a 3 star Uriah Heep album. I guess that the Heep can only do better than its previous album, right ? I must say that the opener revives the tradition of the great openers. It was quite a while ago that they didn't propose such a good track. Good Hensley keys. That's what the Heep is all about or did I miss something ? This title track is really good : fabulous keys and bass (again. This time by Wetton). Great Byron's vocals. Do we need anything more ? Probably not. Only to get more songs of this caliber of course. But we won't get it with "Shady Lady" nor with "Devil's Daughter". This one being just a little superior (by an inch). Good hard-rocking piece but nothing from the other world. An average Heep song. In "Beautiful Dream", one can barely recognize Byron's vocals although the band does not sound too bad. "Prima Donna" is real bad : background trumpets and awful choirs. We plunge in the nightmare here. I just hope there won't be any other of this type on this album. Press skip of course. "Your Turn to Remember" is a dull bluesy pop song. Backing vocals (woo oh type) are rather weak. The whole being far from great but so far on this album, the Heep has not been very strong to say the least. You could easily do as I recommend for the previous track : press next. The heavy-funky-bluesy "Showdown" is on par with the other tracks : rather weak and little inspired. One gets a bit of rest with the nice ballad "Why Did You Go". While such a track was welcomed in earlier efforts for providing some relief between violent, hard-rocking numbers, one feels happy with this number just because it is above average. But a ballad being average for the Heep is rather abnormal, isn't it ? "A Year Or a Day" is the second great track of the album : almost as good as the title track. Acoustic, great melody and very nice tempo. Finally ! Unfortunately, two good songs do not make a great album. The crescendo building is quite interesting and the band provides a very good support (especially Hensley). But this was the last song of the original album ! "The Time Will Come" is not good nor bad. Still too mellowish in comparison with their earlier production. All in all, this album does not reach the level of their first five albums. It just holds an average quality of "Wonderworld". Not bad but not great either. Two stars. This record is the epitome of sophisticated hard rock with some very light progressive elements. It has obvious similitudes with Deep Purple, Argent, The Who and Nektar, at least the combination organ-electric guitar, plus the lead & backing vocals. The musicians play VERY well, and the overall sound is rather happy American hard rock: they are probably one of the most American-sounding bands from UK. The lead singer has an irreproachable voice. There are some mini moog parts through a rhythmic dynamic bass, which sometimes gives them something approaching the Styx's style. They are a bit more progressive than common American hard rock bands like Kiss, Aerosmith and Boston, although they may sound less aggressive. ''STARLESS'' MEETING ''LOOK AT YOURSELF''??? NOT REALLY!!! Since Wonderworld, a few things happened; the bassist GARY THAIN has been kicked out for drug abuses, and .worst, he would ultimately die of electrocution while on stage a few months later! Entering the mighty JOHN WETTON; you have to understand that at the time JOHN WETTON was big, big in the prog world, almost a god for all the KING CRIMSON fans and we were a lot of them back then. So when the news came out that the great bassist was joining URIAH HEEP, it was kind of a schock in the rock music community. On one side, the septics were wondering how such a great talent was wasting hist time with an inept band, as others like me who enjoyed the best of those 2 worlds were salivating about the possibilities: ''Exiles'' meeting ''easy livin''!!!! 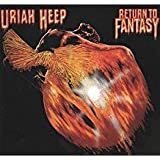 I remember also back then the upcoming album of this reunion ''RETURN TO FANTASY'' was promoted heavily in the rock medias as the big return of URIAH HEEP!! Imagine URIAH HEEP and JOHN WETTON together; what a winning combination it would be!! But that was not to be!!!! John WETTON has no part whatsoever in the writing process!! nothing! Would his vocal abilities be used, at least? nope, just vocal harmonies with the other 3 in the background. Actually, the role of WETTON is merely the one from a session bassist. What about the music, are yo asking? Nothing bad as some songs we had on WONDERWORLD, but nothing really exciting either ,except...one! but what a one!!!! 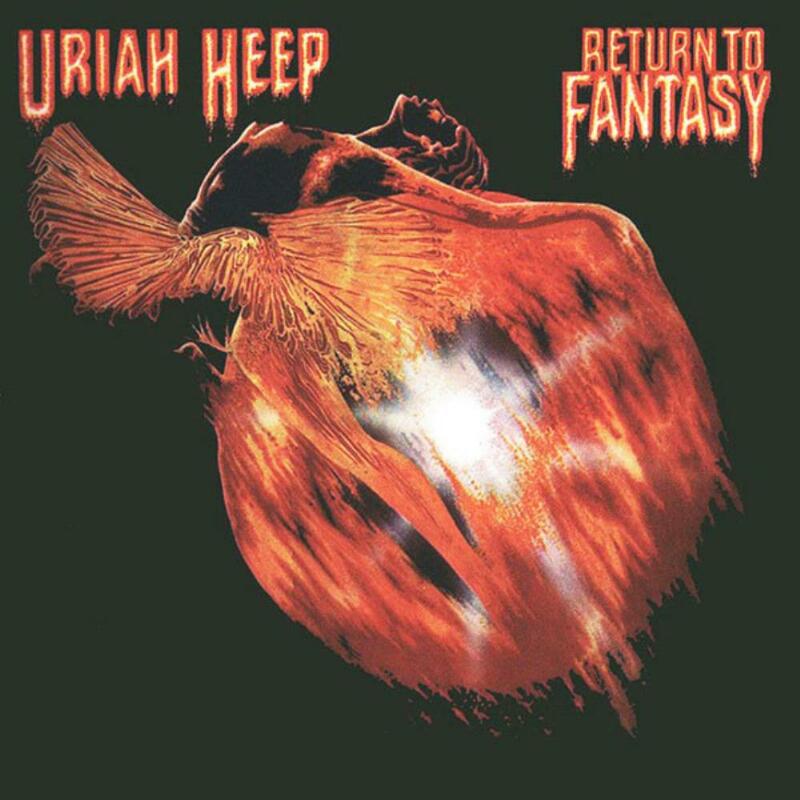 The title track ''RETURN TO FANTASY'' is one of the best all time URIAH HEEP songs; nothing to say about the speedy music in the background, but what counts is the melody sang powerfully by a great DAVID BYRON, what a wonderful song,! how did KEN HENSLEY and BYRON came up with such a magical song!! What a way to start an album!!! Sadly, things will go down quite rapidly after that; there is no return to fantasy like in DEMONS AND WIZARDS. What you get is mainly blues-rock numbers and some ...boogies like ''you turn to remember'', you would never think a band like URIAH HEEP would record. But yes, they did!! so much for the influence of JOHN WETTON! they could have used any bassist from Alabama or Memphis for the matter. 3.5 stars, really. This was to be Uriah heep´s big ´comeback´ album after the somewhat disappointing Wonderworld album and the tragic loss of their great bass player Gary Thain (who had died of drug overdose). With the celebrated John Wetton (of Family and King Crimson fame) as his replacement, one clould only hope for the best. 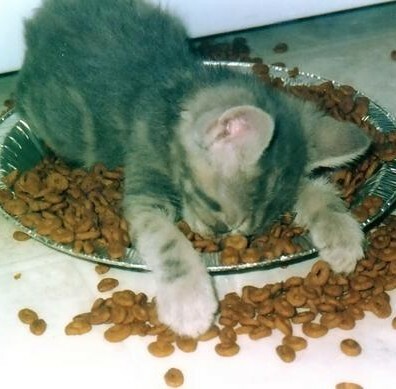 But, alas, this was not to be. Not that Return To Fanasy is a bad album. It is not. But from the cover picture to the title of the album everything indicated their return (no pun intended) to the ´Demons and Wizzards´and Magician´s Birthday' golden period. Was it? Well, the opening track, Return To Fantasy, goes exactly to that period. It is one of their classic songs, with great keyboards, interesting lyric, excellent vocals by David Byron and Wetton´s thumping bass proving to be ideal for the band. Unfortunatly the next songs are not of the same caliber. In fact, Shady Lady and Devil´s Daughter are some of the weakest Heep tracks recorded so far. 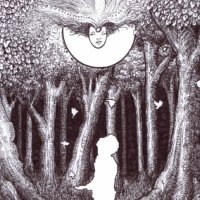 Beautiful Dream, a better tune, sounds a bit forced and never delivers. Prima Donna is a fine little rocker that works (thanks to the help of Mel Collins saxes), but adds little to the Heep cathalog. Things start to go uphill from then on: Your turn To Remember is a fine slow rocker with great backing vocals and Why Did You Go is one of their beautiful ballads (BJ Cole on the steel guitar here). And the album closer, A Year Or a Day is the only other truly album´s gem, a great prog song with inspired lyrics and powerful playing from all band members. So, in the end, Return To Fantasy was not what most fans expect at the time. It has only two great songs, three good ones and 3 quite weak tunes. After all these years my opinion hasn´t changed much: a good album with two classics on it. A bit little for such a great band. Return To Fantasy is not a very good album, I'm afraid. There are, however, a few good songs on this album. The opening title track is the best of these and this song is among the band's best ever songs! The second track is, on the other hand, a generic Rock 'N' Roll number with trite lyrics. The same is true of Prima Donna and Showdown. Devil's Daughter, Beautiful Dream, Your Turn To Remember and A Year Of A Day are all decent songs. Why Did You Go is a nice ballad, but the lyrics are cheesy and a bit too direct. Most of these songs have been performed live by the present line up of the band with Bernie Shaw on vocals. Personally, I prefer these new versions. I think that Uriah Heep very often choose quantity over quality. They made so many albums in the 70's, but many of them sound unfinished and rushed. They really should have put in more time and effort in all stages of the production from writing to recording to mixing, etc. Ken Hensley is a good song writer as proven by his finest moments, but he seems to have desperately needed someone else's advice in picking out his good songs and sending him back to the drawing board when he approached the band with some less-than-decent songs. 1.Return to Fantasy - 5:perfect song with so much drama and artistic sense! 2.Shady Lady - 4.5:progressive beginning and end with hard guitar rock & roll middle section! 3.Devil's Daughter - 4.5:superb chaotic mixture between hard and progressive rock! 4.Beautiful Dream - 5:unique,just Uriah Heep at their best! 5.Prima Donna - 2.8:extremely weak song for the quality of the album,passable rock & roll! 6.Your Turn to Remember - 3.5:the first slow song on the album with enough good moments! 7.Show Down - 4:rock & roll elements close to Shady Lady style! 8.Why Did You Go - 3.3:average quality ballad! 9.A Year Or a Day - 5:perfect end with great fantasy lyrics! The final rating for me: 4.17 stars!Because of this bad moments I can't give 5 stars,despite being so favourite album.Of course,the album is good enough for 4 stars - an excellent addition to any prog music collection! It's a common feature on prog archives that many bands keep receiving high ratings for albums that were released way past the band's prime, simply because the only remaining ratings are from fans. By contrast, the most acclaimed albums suffer from low ratings by occasional onlookers who are not into the band at all. Quite to my surprise, this Return To Fantasy is even discarded by most of the fanbase. Not that it can claim past greatness but at least it is a lot more consistent then the three previous albums. I like some of the songs here even more then what appeared on Demons and Wizards. Return to Fantasy is a great epic track with plenty of vocal harmonies, good melodies and great organ and synth leads, nothing new but well-written and focussed. Shady Lady is forgettable rock 'n' Roll but Devil's Daughter is another catchy tune that wouldn't have been out of place on the debut. Beautiful Dream counts even as one of my Heep favourites. Especially the synth intro is downright classic, but the entire songs is wonderful really. The high pitched vocals at the end reach heights that only Judas Priest and King Diamond have claimed since. After a number of average songs, the album ends strongly with A Year Or A Day. I can really recommend those songs to everyone that loved Uriah Heep's classic albums. 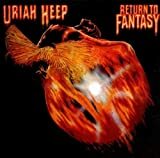 Post a review of URIAH HEEP "Return To Fantasy"